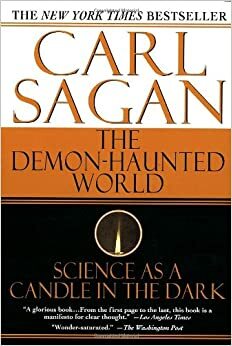 The book I decided to read and do my book report on was, The Demon-Haunted World: Science As a Candle In The Dark, by Carl Sagan. I chose this book because the title caught my eye. When I seen the title I said to my self I can get into this and I read a little bit of in the store skimmed through and with in ten minutes I was into it. I never read a book like this. All the books I ever read were story books with action or based on a movie. This book as essays that Carl Sagan wrote about a topic and each topic had its own chapter. Carl Sagan was more into planetary science stated in the book but goes into details about the difference in pseudoscience and regular science. Me personality I never heard of pseudoscience until I took this class, I just thought science was science. The whole book goes on about myths, demons, aliens,theories and other topics related in the pseudoscience world. 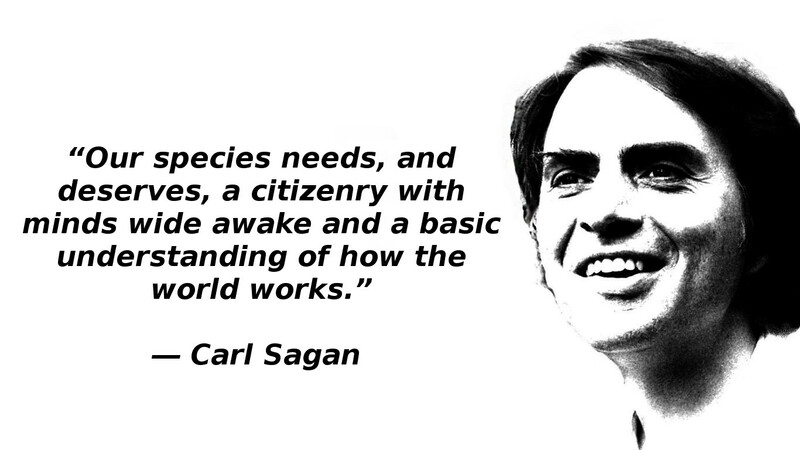 Sagan explains why in every field of science there is always pseudoscience stepping on the front door. Carl Sagan in this book to me is trying to get you to think and keeping you on your toes trying to get you to use your brain to think about everything. The book is a big critical thinking exercise to me because talking about pseudoscience and what is considered it, made me think a lot about things I heard growing up, I don't know if it is true anymore because really there is no actual science to back it up. He also talks about how regular science is great us in our life and how we need science to advance. For instance he talks about over two hundred years how human life span is longer now than what it was years and years ago. The help of science made this happen. Chapter six, Hallucinations, is my favorite part of the book. Starts off with UFO's and advertising in magazines making people believe it with catchy headlines. The chapter goes into explaining certain stories of people of why they were abducted throwing their story out of the window by using logical sense. Like lack of sleep causing hallucinations. Personally that happen to me once. I was standing post in Afghanistan and we had no sleep and for a matter of several minutes I thought I was in middle school and I snapped out of it because I smoked my cigarette all the way between my fingers and it was so real. I know it was lack of sleep because we didn't have going on day 3. So I like this chapter because I related my experience to it and when it was talking about the New Hamphire couple, proving their story wrong with logical answers. In our class we seen the video of the powers people have to move stuff and easily proven wrong and how advertising gets people to believe in stuff that has no evidence but peoples statements and no science. One last thing that I liked about bthis chapter was because explaining why kids hallucinate and have nightmares. I thought it was interesting because I never thought about the reason sleeping alone. How different it was back then till now. Carl Sagan in this book made me think about things I would of never thought about ruling out to see if it was true.